Hello there to the community. Can anyone help to identify how this effect is called or made? 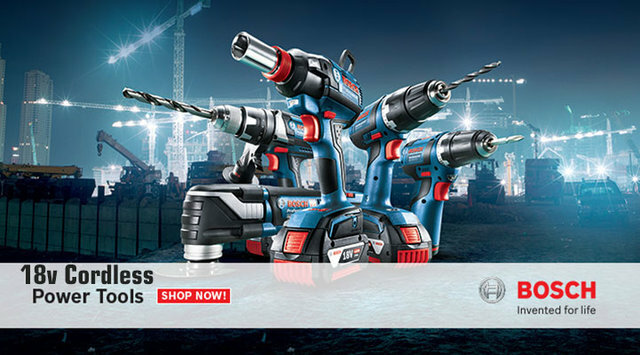 I'm referring to the way the power tools are edited at image attached. Maybe anyone knows some tips on color correction or any actions that could help to achieve this. I'm not sure how to call it, but they are kinda like painted a bit - it's not strong effect but makes the items pop. Thank You in advance for any help !!! @Scott is exactly right: this is clear renderwork on the tools. The way I'd go about this if it were my brief would be a 3 or 4 light studio-photography-style lighting setup1, with probably one bounce card too. I can't help but notice the imperfect colour matching of the subject matter tools versus the backplate: the backdrop image looks like it's been tonemapped towards cyan, whereas the tools were rendered in an unbiased, un-tonemapped linear colourspace. Looks like the renderer did what I'd do, and set up with that backplate in mind, amd rendered out the tools with an alpha-mask (no background at all) and a "shadowcatcher" (a specially set up mesh standing in for the backplate's ground and whose shader captures shadow but has no local visibility and registers total alpha other than the captured shadow) thus making the tool shadows seems appropriate for the backplate. The renderer then composited the backplate back in in post. The tools portion of the composite has clearly had the red and blue channels bumped up a lot in post, which I assume is to match the Bosch marque's intense red - and most likely their overall corporate graphics standards official colour palette - and therefore to match perfectly with the transparent barre added at the graphic designer level for the magazine or online ad comp. 1 Even in 3D modeling apps, one still sets up lighting and reflectors as one does in a real photography studio - you can save out presets, which saves time, and sometimes you 'bake' a preset out into a spherical HDRI, but most often for specific unique meshes like these tools, you end up setting up a lighting rig. Bear in mind that the "painted effect" you're referring to is the result of a combination of the unrealistically even roughness of the tool plastic as rendered and the red and blue channel postprocessing intensity boost (can be done with per-channel adjustment filters or with the curves tool) and therefore you could achieve this same feel with a straight photograph with some care. Not the answer you're looking for? Browse other questions tagged photoshop-effects or ask your own question. What is this font effect called? What is this effect called and How Do I create this? How is this visual effect called, how to do it in photoshop? How do I create this one colour painted matte effect onto any object in photoshop? What is this DoF effect called?